The newest cameras tend to see very few discounts, but photographers can pick up Nikon’s new full-frame mirrorless series with a $ 200 to $ 400 discount — if they have an old camera lying around. As of Sunday, January 27, Nikon is offering a trade-in deal that translates into $ 400 off the Z7 or $ 200 off the Z6. When trading in a camera — from any brand, provided it’s operable with interchangeable lenses — photographers will receive a $ 400 or $ 200 discount in addition to the trade-in value of the camera. Photographers can also pick up the Mount Adapter FTZ for $ 100 off when trading in a camera and buying the Z7 or Z6. The offer is good through March 31 and is available from participating authorized Nikon dealers and online from the Nikon Store. For online trade-ins, Nikon offers an instant estimate for Nikon-branded cameras and sends estimates for other cameras within 48 hours. The trade-in is then shipped with a pre-paid label. Once received, Nikon sends photographers a discount code via email. The trade-in value is credited back after a purchase of the Z6 or Z7. 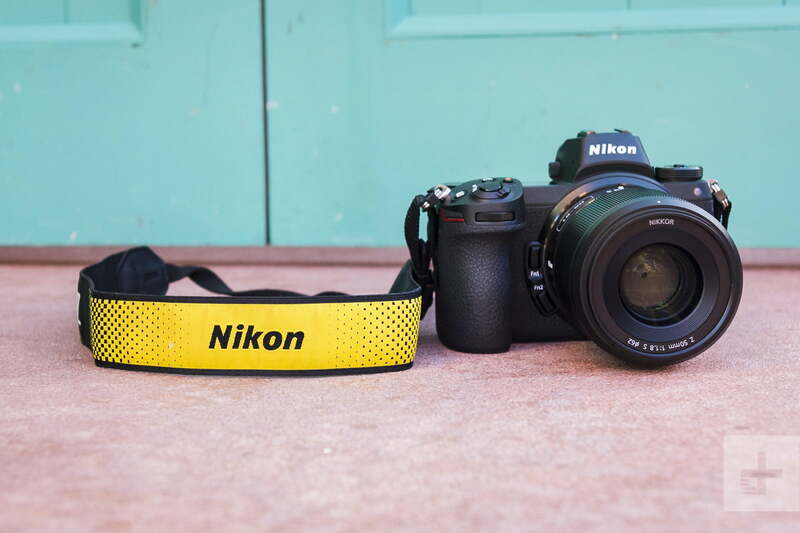 The trade in-offer could sweeten the deal for Nikon photographers looking to make the move to mirrorless, with Nikon’s DSLR lenses compatible with the new system via an adapter. The offer lowers the price of the Z7 to about $ 3,000 body only and the Z6 to about $ 1,800 body only. The Z series is Nikon’s first professional level mirrorless system, housing a full-frame sensor. The pricier Z7 offers a 45.7-megapixel sensor and 493-point autofocus system, while the cheaper Z6 has a 24.5-megapixel sensor and 273-point autofocus system with faster 12 fps burst. The new mirrorless cameras also dish out the best video specs yet for a Nikon with 4K, 10-Bit N-Log through an HDMI output and 120 fps slow motion. In our review, the Z7 was the detailed powerhouse, while the Z6 is the better option for low light and at a more easily accessible price point. While an adapter allows the new Z cameras to use Nikon’s DSLR lenses, the earliest native Z lenses captured sharp images, though aren’t always more compact than similar F-Mount lenses. The trade-in deal is available online directly from Nikon or through participating authorized Nikon dealers.